Freefall Wines in Central Otago, New Zealand, produces Sauvignon Blanc, Chardonnay, Pinot Gris and Pinot Noir from vineyards planted in Marlborough, Waipara, Bendigo and Gibbston. The owner is New Zealand adventurer and co-founder of Bungy, Henry van Asch. 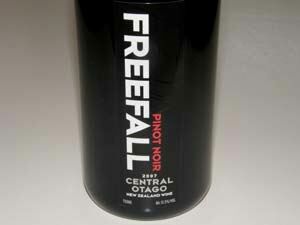 Theo Coles is the winemaker for the Central Otago Freefall wines, including Pinot Noir, and Allan McWilliams in the winemaker for the Marlborough Freefall wines. The wines are exported to the United States by Station Imports, Colorado Springs, CO and are sold on their website.